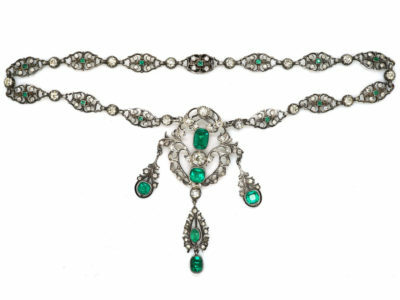 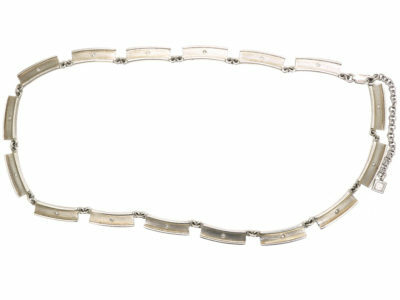 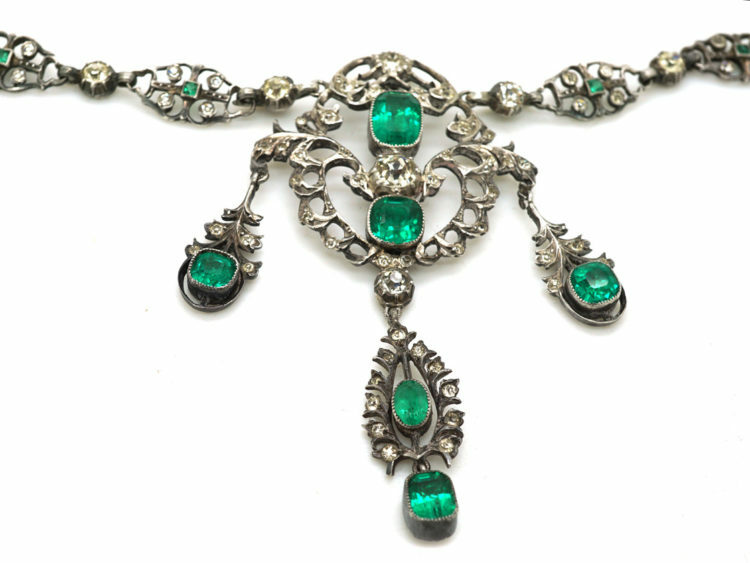 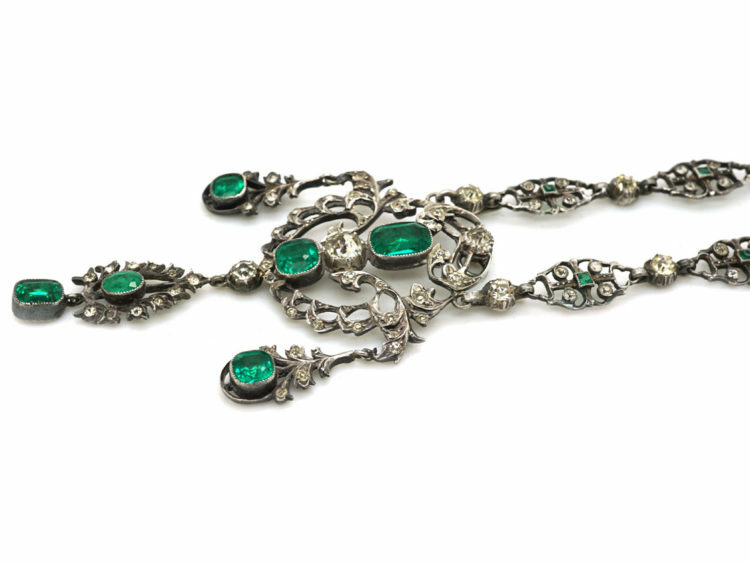 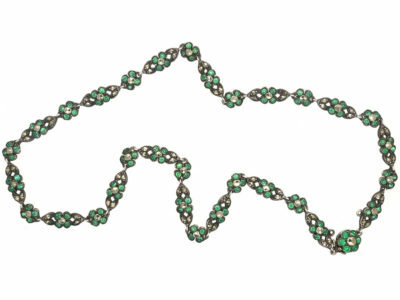 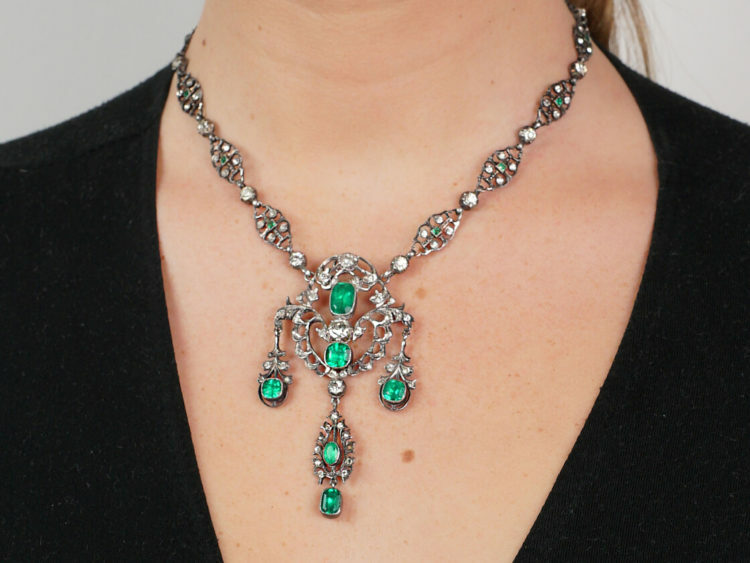 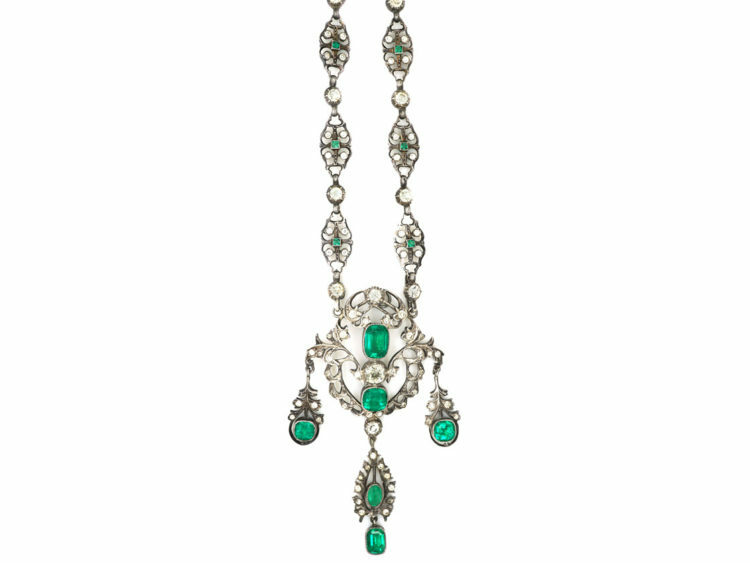 A wonderful and rather grand silver necklace that cleverly imitates an emerald and diamond necklace. 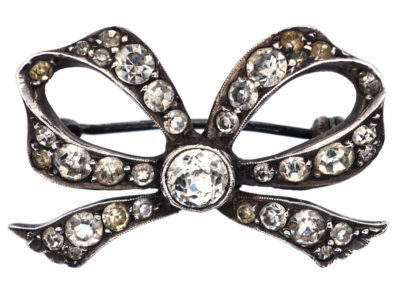 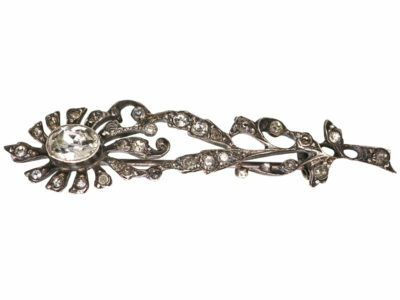 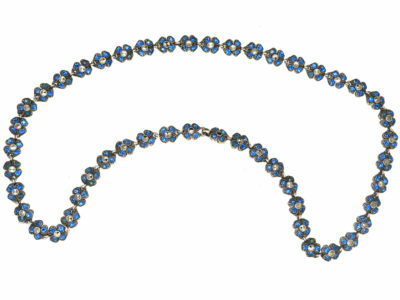 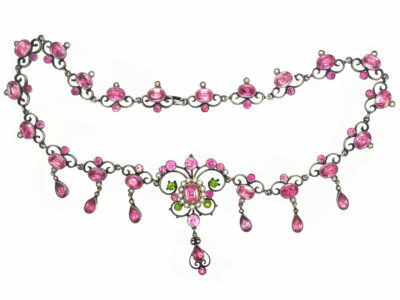 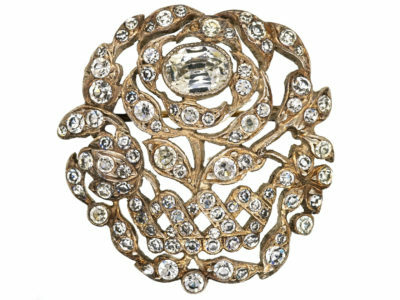 It was made circa 1900-1910 when this grand style was still in fashion. 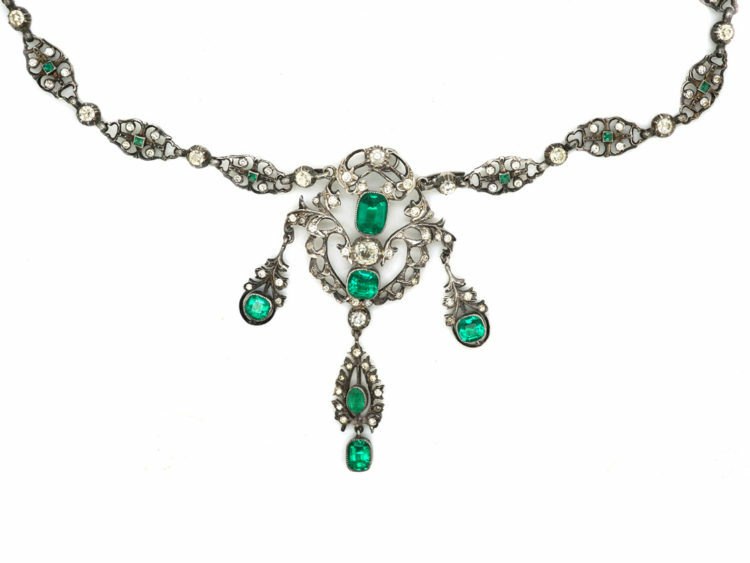 It has been set with graded white and green paste. 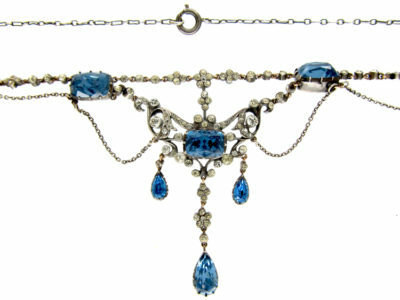 The chain is articulated and attaches on to the pendant with three articulated drops. 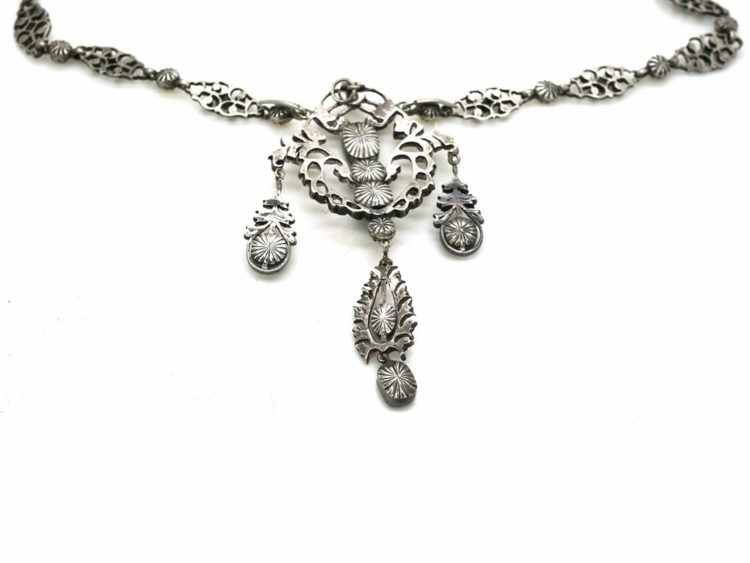 The sign of a good piece of jewellery is to look on the reverse side and this necklace has been beautifully finished with detail on the silver. 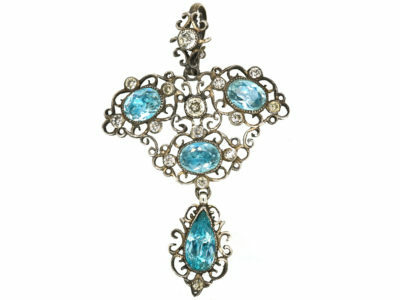 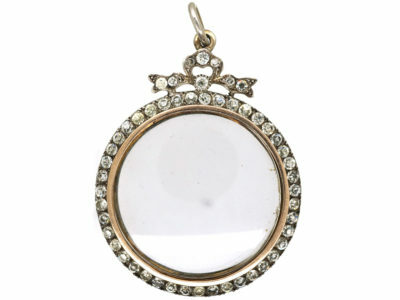 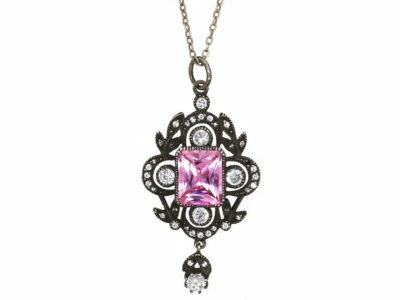 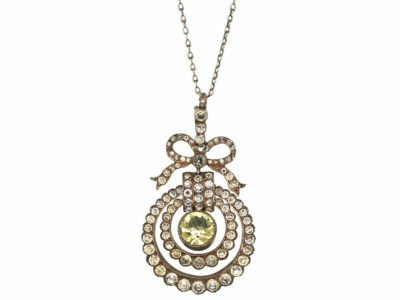 The pendant also detaches so that it can be worn on it’s own if wanted. 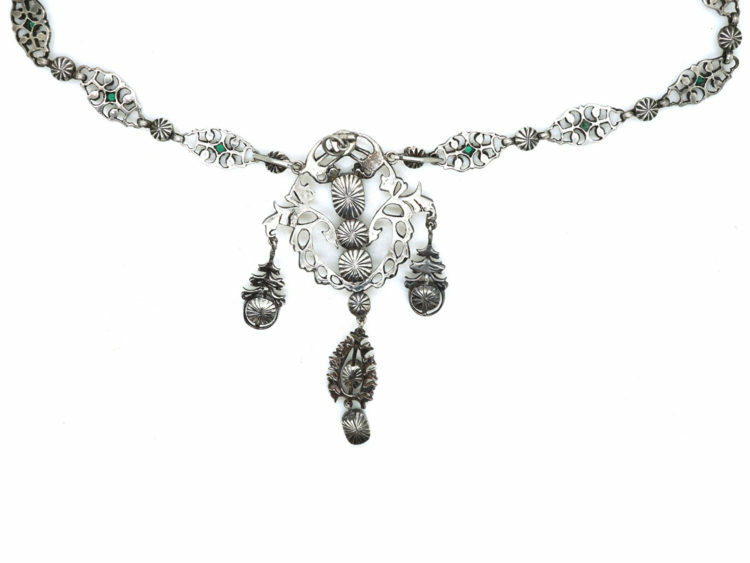 It is a very convincing copy of the real thing.